The incredibly quotable William Ward once said that “feeling gratitude and not expressing it is like wrapping a present and not giving it.” Not wanting to be guilty of such a crime, I wish to express here on this blog the many things which I, as a pharmacist, am truly thankful for at the moment. 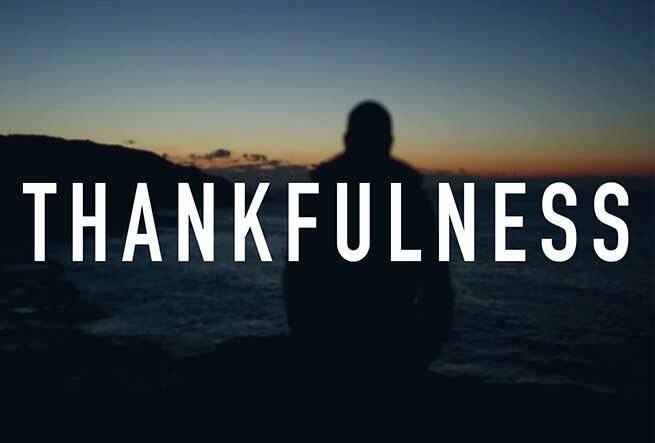 Thankfulness is a good drug, with virtually no hazardous effects, but rather the power to heal us all. I would start with my thankfulness for a family that understands my profession and the unique constraints which the performance of its demands require. My wife of 23 years has been my most valuable supporter and promoter of my career. While college educated herself, she willingly embraced the profession of motherhood (we have 4 children) and has been nobly committed to the full-time (with lots of overtime!) raising and educating of our kids for 20+ years now. Her sacrifice (though she would never describe it so) has given me the freedom to pursue my career without the fear of how it would impact her own. This choice is not for everyone, and I in no way am suggesting it is superior or preferred, but for myself I am truly grateful for her. My kids, too, have been incredibly understanding about the often unpredictable, sometimes long, constantly changing schedule that retail pharmacy and management involves. I am thankful for my job. Most specifically, I am grateful for a job that constantly stretches me. I have been in management for nearly 20 years. Learning to be a good leader and manager is a never ending struggle. Trying to build successful teams and run successful businesses in an increasingly low-margin industry is challenging beyond belief. The pressure can be high. And patient lives are on the line. For a pharmacy to be truly successful these days they must be doing a lot of things very well. I love that challenge. I’m thankful for many mentors, mostly authors of books I have read, that have been my coaches and constant companions in this journey. More specifically, I’m thankful for the very people I work with. I love seeing teams come together with a common vision and purpose. I work with some fantastic pharmacists and technicians. I love the diversity of talent in our group, along with some very diverse personalities, backgrounds and lives. But there is a mutual respect for one another, a caring for one another and commitment to each other that exists at work, and also spills over to our private lives. There are strong friendships that have been formed among us. I love this and am thankful for this. Some on our team have gone through tremendous personal challenges in health and life, and have overcome them. It is a special group to be sure, and I’m thankful and honored to be part of it. I’m very grateful to be working with pharmacy students. I have the incredible privilege of having IPPE, APPE and elective in pharmacy management students at our store. I love working with young soon-to-be pharmacists. So many of them are incredibly bright young men and women. I’m always amazed at how fast they learn. At 46 years of age my old mind doesn’t learn new things quite as quickly as it once did. That makes the rapid adapting of these students to the things we teach them to be all the more impressive to me. I love their questions. I love their optimism. I also love talking to them about their career concerns, fears and uncertainty. This is not the same profession it was even 10 years ago. In some ways that is fantastic. In other ways it creates huge challenges. But we talk about it and I’m thankful for that. I’m grateful to be writing. I currently write for a number of fantastic pharmacy-related organizations. I write for my local newspaper. I have this blog. I write (sometimes) painfully long emails to my family, co-workers and friends. I teach a class in church every Sunday, and this involves a significant amount of writing. I enjoy this medium and am thankful for it. I still consider myself a novice writer at best, but I love pursuing this craft and articulating thoughts and thinking through issues. Ernest Hemingway himself once said that “we are all apprentices in a craft where no one ever becomes a master.” But writing is my drug of choice. It frees my soul, stretches my imagination, beats me down, builds me up, tears me apart and sometimes, like a mortar and pestle, crushes me into fine powder. But I love it, and cannot imagine stopping. Related to the above statement, I’m grateful for readers. Early in my writing career I was satisfied to imagine that I wrote only for myself. I told myself that I didn’t care if others read what I wrote, or if they liked it. I suppose many writers start out believing this lie too. But eventually we have to accept the truth that we do write for others, and we do care what they think. We like to have our articles shared, appreciated and commented on. If you have managed to get even this far in this blog post – then yes – I’m thankful for you! I’m thankful for many fellow-pharmacists and pharmacy-related professionals I have gotten to know over the years. Sometimes we have connected through social media like Twitter, Facebook or LinkedIn. Sometimes I have been contacted based on something I have written. There are pharmacists out there doing some incredible work whom I greatly admire. Those whom I keep in touch with know who they are. You are an inspiration to me. Thanks for your never-give-up spirit, perseverance through adversity, and a willingness to sacrifice much to promote your various health-related causes and businesses and pursuits. I’m thankful for how many pharmacists have entrusted me to help them with their own career interests. Through coaching, resume writing and strategy I have enjoyed helping and watching many pharmacists get great new jobs or advance in their careers. 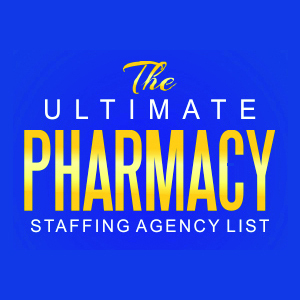 This pursuit has driven me to make an enormous number of important career connections, do research on job-related themes and even produce lists like my “ultimate pharmacy staffing agency” list which has helped many of my fellow-pharmacists.